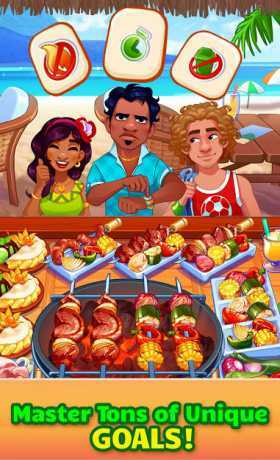 Cook & serve tasty cuisine ⏰ FAST ⏰ as a chef in Cooking Craze – the fun new kitchen game! Bake, cook, and grill your way to world-wide restaurant chef fame! 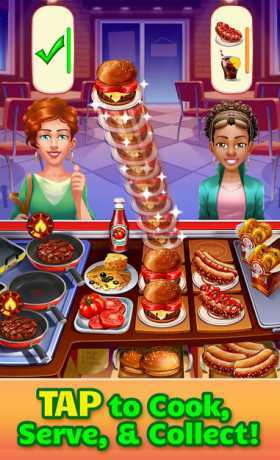 The restaurant world awaits a hot new chef in this addictively fun time management ? kitchen ? game. Be a top chef and do it all in a cooking fever. Dash around the kitchen baking pizza, grilling tasty burgers, and cooking world-class cuisine. Fast play isn’t enough though; happy customers are needed to build your restaurant empire. Are you up for the challenge, Chef? 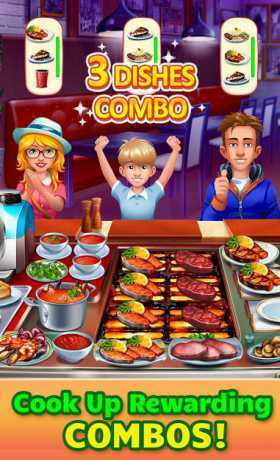 Play a Chef in this Fast & Fun Restaurant Game! • ? Dash through kitchen service to earn big tips ? • Cook customers breakfast, lunch, dinner, and MORE! • Scramble to feed customers in restaurant kitchens in NYC, Tokyo, Rome & more! • Create delicious dishes and ? tasty desserts ? • ? Make recipes burn-proof with special pans ? • Grill delicious fish, tasty steak, and mouth-watering ? burgers ? • Ice cream, cheesecake, pasta and shrimp – the recipes grow with each city! Fun Levels to Master, Chef! • ? Dash through over 400 levels on three continents ? • ? Serve food fast to win timed levels ? Fun chef games are free to play!